Dockers is an American khaki brand from Levi Strauss & Co. that designs and manufactures men's and women's denim fashion. It also offers a wide array of accessories from belts, pants, wallets, shoes, and other apparel. With Big Apple Buddy’s personal shopping service, you can now buy direct from the USA Dockers online store anytime, anywhere. The Dockers Men's Wool Blazer brings elegance to a whole new level. The sophisticated tailored suit is one of a kind with 100% wool material for a cozy and fitting style. 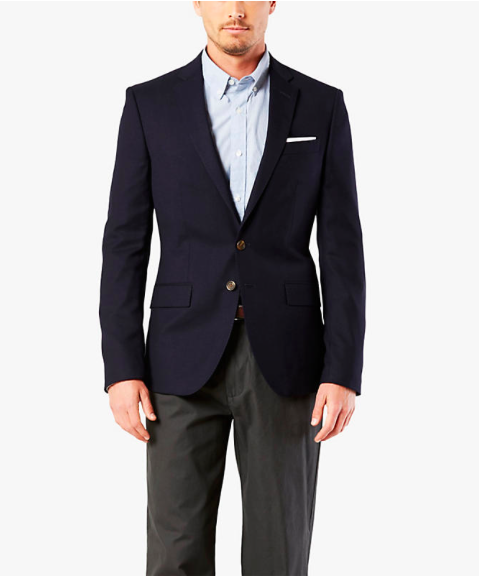 The welt chest pocket and flap hand pockets keep the blazer practical for any occasion you need it for. Its classic navy color goes well with any shirt or khaki and makes their colors stand out so you never have to worry about not combining! 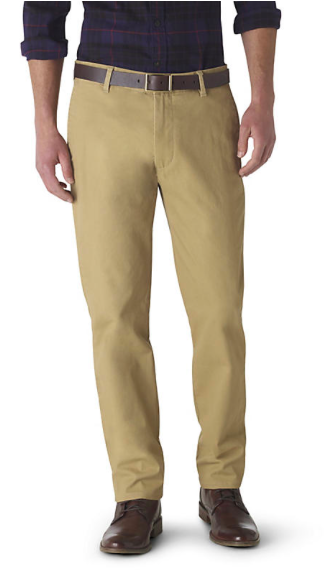 You can't skip the classic Dockers Marina Khakis to complete your outfit! These versatile pants are built for an all-day wear. Their slim tapered style to give it a chic and modern twist while keeping it elegant. The khakis come in new colors like Chino, Leather Brown, and Pembroke and also the classic Black so you can mix and match according to the occasion you need it for. There's also great options for the ladies! The Dockers V-Neck Cardigan comes in many colors, giving you numerous options to use with different tops. 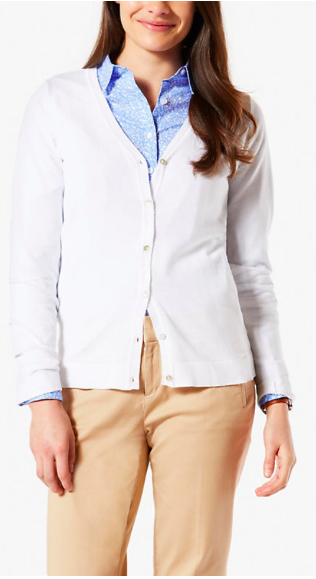 Its soft and light material makes the cardigan perfect for any weather and easy to carry around wherever you go. The ribbed neck, cuffs, and hem give the extra touch of Dockers' fashion that also complement the rest of the outfit. Unfortunately, the USA Dockers online store does not currently offer international shipping. However, Big Apple Buddy, your personal shopper, can help you buy products direct from the official USA Dockers online store and ship them to your doorstep, no matter where you are in the world. If you would like to buy from the USA Dockers online store, simply let us know which items you would like to order (by filling out the form below) and we’ll get back to you with a free international shipping quote within 24 hours!